It’s tax day today. 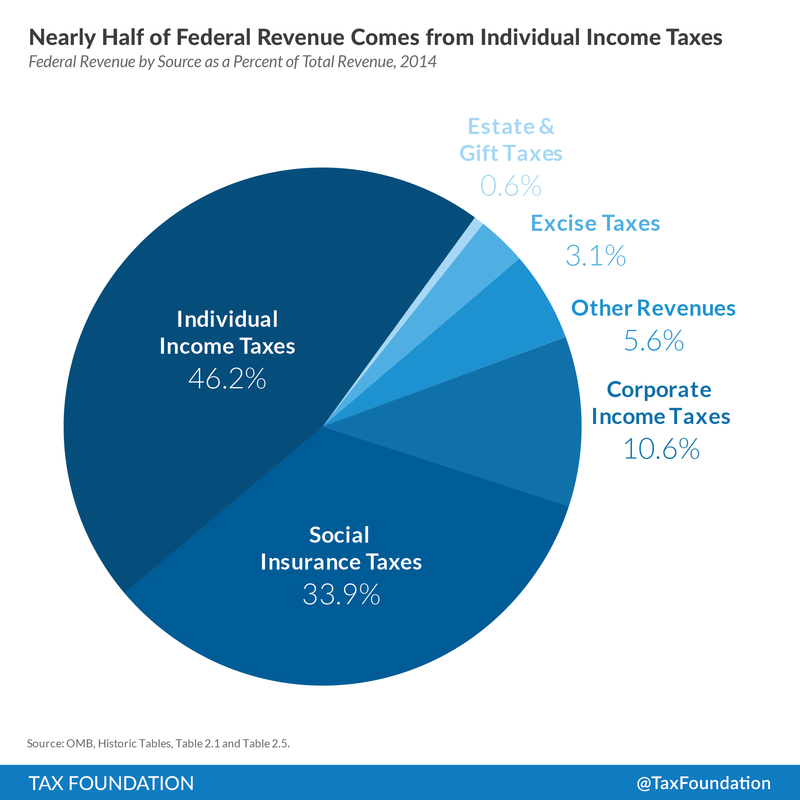 The federal government collected over $3 trillion in taxes in 2014, according to the Office of Management and Budget, with $1.4 trillion coming from individual income taxes and another $1 trillion from payroll taxes. For 2015, the OMB projects federal revenue to reach nearly $3.2 trillion with about 1.5 trillion in income taxes and almost $1.1 trillion in payroll taxes. But how government chooses to spend your tax dollars is just as important as the amount that you pay. The OMB projects that the federal government will spend $3.8 trillion in 2015. Of this $3.8 trillion, over $1 trillion, or 26 percent of total outlays, will be spent on health, which includes Medicare and other health care services. 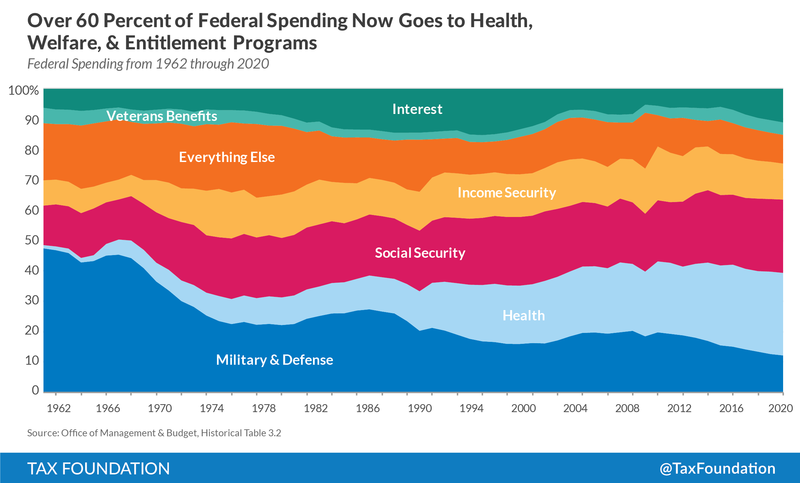 The next largest category is Social Security (23 percent), which will cost close to $900 billion in 2015, followed by defense spending (15 percent) and income security programs (14 percent) such as food stamps, housing assistance, and federal employee pensions. Interest on the debt is 6 percent of federal outlays, down from a high of 15 percent in the mid-1990s. The make-up of the budget has changes significantly over the last 50 years. 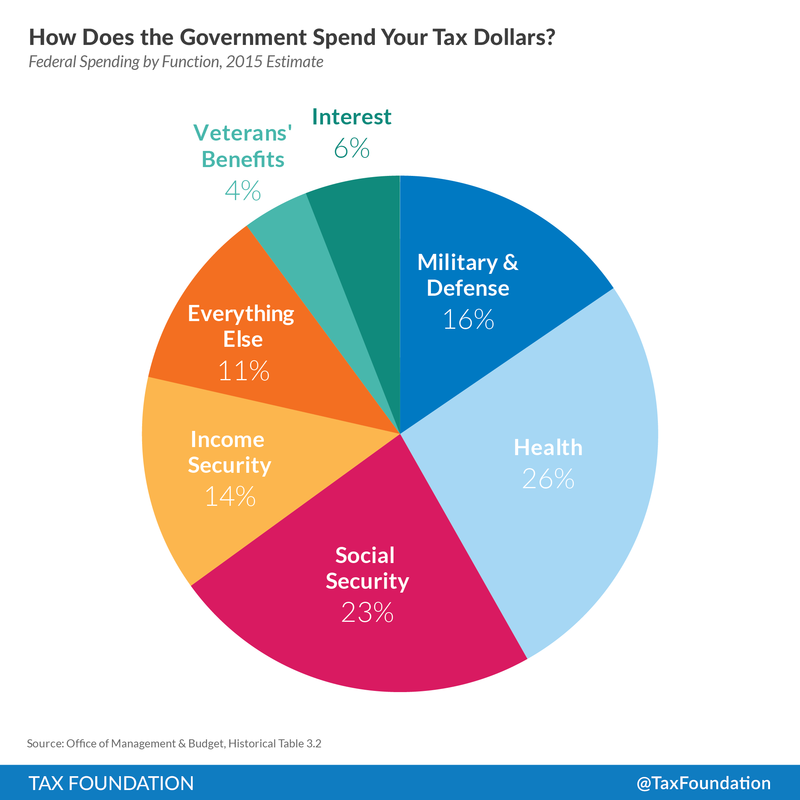 In 1962, defense accounted for nearly half of federal spending (47 percent), three times the percent today. The Everything Else category—which includes international affairs such as humanitarian aid, agriculture, and transportation such as spending on roads—made up the second biggest chunk of the budget (19 percent). Social Security (13 percent) and income security (8 percent)—the next largest—were close to half the size they are today. The chart below shows how these categories have fluctuated over time. It also includes the projections through 2020.